The small raptor which appears to stand still in mid-air ('hovering') is a kestrel. It is an excellent mouse hunter. While hovering in the air, it is not necessarily looking for the animal itself but for its urine trail. 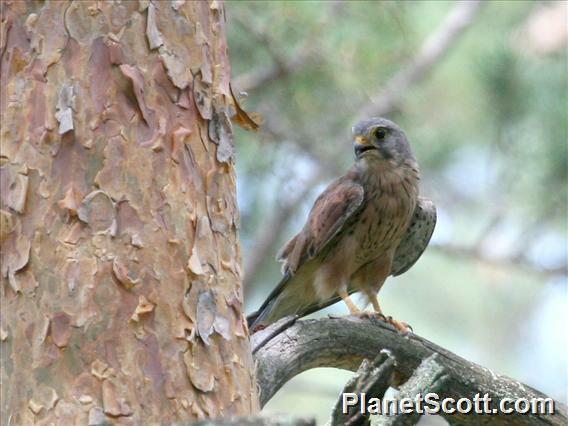 Kestrels are capable of seeing ultraviolet colors, which is also found in urine. So they are able to detect the well hidden mice. They like to nest in large bird houses, specially designed for these birds.